- Select - Exhaust Connector-2.5" O.D. To 2.5" I.D. Exhaust Connector-2.5" I.D. To 2.5" O.D. Exhaust Connector-3" I.D. To 3" I.D. 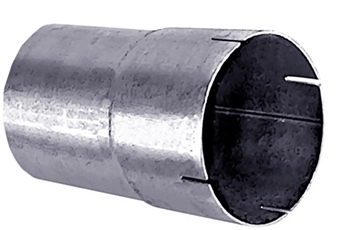 Exhaust Connector-3" O.D. To 3" I.D. Exhaust Connector-3.5" I.D. To 3.5" O.D. Exhaust Connector-3.5" I.D. To 3.5" I.D. Exhaust Reducer-3" I.D. To 4" O.D. Exhaust Reducer-2.5" I.D. To 3" O.D. Exhaust Reducer-3" I.D. To 3.5" O.D.